After having lived in various different countries and traveling around the world, I settled down in my beautiful home country. Today I want to welcome travelers from all over the world and help them discover the most beautiful and exciting spots of my country. I support authentic travel and look forward to share with you my know-how and vision of traveling. I will make you discover France in a different way! "Born in Greece, raised in Italy and France, studied in France, Portugal and Germany before moving for work in the travel industry to India, England and Australia before settling in France. I am glad to say that travelling is part of my life since I am a child. 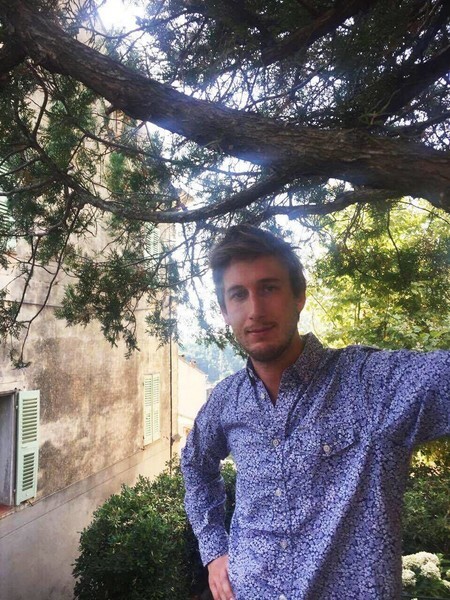 Now I am the co-founder of French Side Travel that I've created with my father, I made my childhood dream come true, sharing my passion for travelling with others! "There are so many unique travel experiences that I will never forget that it is difficult for me to list the best one. What is sure is that probably the most beautiful place I found on earth yet is Corsica. I hardly found another place that gives such different beautiful landscapes within a few miles (Mountains, Beaches, Villages).